Normally I don't mind if books come my way in tangible, Kindle or Audible format but I'm so glad I heard this one. Unless you've a good inner ear for voices there'll be a dimension missing. For example the differing accents of Windrush parents from their children; the varying accents of those attached to the local mosque; the Northern Irish accent of the principal female voice. One critic described the book as 'a blazing polyphonic debut' and the voices weave around one another like the voices in a fugue. Like a fugue there is a increasingly tense sense of 'stretto' towards the end, where the voices come closer together - in many more senses here than in a fugue. 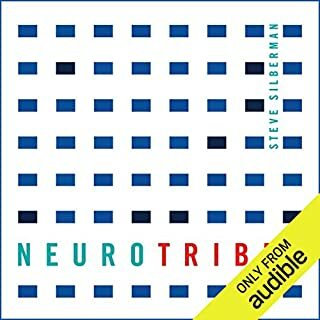 This is one of the most gripping listens I've had for quite some time. This book was a revelation to me. It contained so many elements which now seem so obvious, but which I'd overlooked completely. 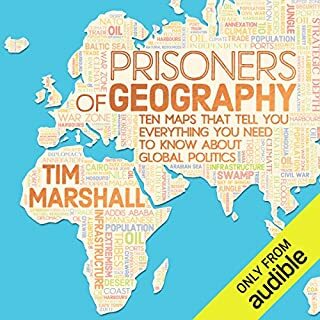 I won't spoil your listen by listing them but it's made me look at geopolitics in a new way from the ground up: geology (including mineral wealth); geography (rivers, coastlines); flora (especially when impenetrable) and then, on top of all that, human culture including politics, population stats, size and kit of military etc. No previous knowledge is required to enjoy this book to the max. While enjoying Volume 1, I bought this concluding volume so that I could continue seamlessly. I must have finished both volumes in a matter of a few days. 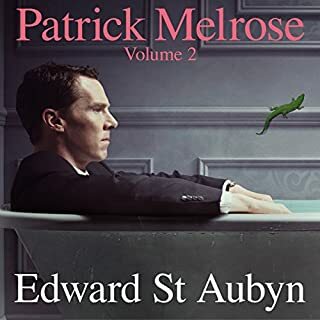 It's odd combination, knowing that the dark content of much of the story was experienced by Edward St Aubyn, while enjoying the hugely entertaining writing - such fabulous prose. 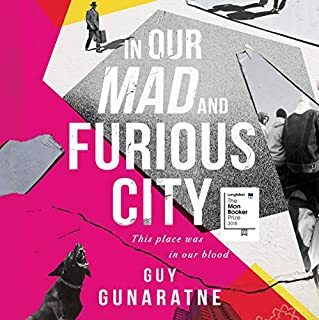 I had, of course, heard of St. Aubyn but only recently read him and he made it straight into favourite writers category - worthy of re-reading! Alex Jennings impeccable standard of narration continues from Vol 1. The loveable rogue, Nicholas, has a superb outburst in At Last. On a more serious note, there's a lot to learn about pain and recovery in these volumes. I can't recommend them highly enough. Well, that's only true of the middle story of this volume, during the seedy NY period - but what a great combination! 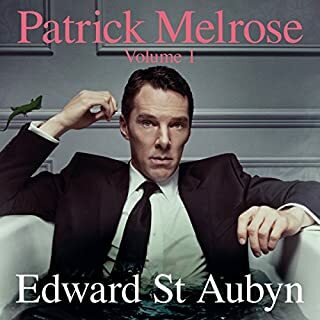 The prose is beautiful and all the more so if you enjoy the cynical humour which Patrick Melrose goes in for at this stage in his life. Alex Jennings is perfect for the job and pitches perfectly all the variables of age, class, gender and nationality. I feel sure that I'll revisit these tales. One of my favourite characters is Nicholas. Even although you might not agree with all he says, he just sounds like hugely entertaining company. 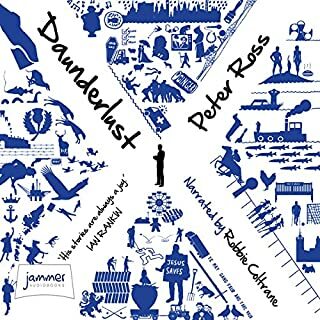 Peter Ross' articles from around Scotland provide a piece-by-piece portrait of a nation as it changes. They show Scotland as she really is, a hopeful country not without problems and pain but a nation made great by the people who live, love, laugh and graft there. From anatomists who find dissection beautiful to chip-shop owners who sing arias while serving fish suppers, the Scots in these pages come over as eccentric, humorous, moving and extraordinary. If I'm honest, I'd have to confess that I came across this in a 2-for-1 sale. Encouraged by the sampled narration of Robbie Coltrane I decided to go fo fit. It's a fantastic listen. The range of topics, people, places covered is very wide and there's not a dull chapter in the whole book. The mood ranges from serious, through informative to very light hearted. Regardless of mood, the writing is always fine, with many quotable moments. I won't spoil your listen by citing them here. Reaching the end, I realised how little I know my own small country. As some would say here, 'that needs tae get sorted'. Mostly getting it right, I'd say. Coming across John Tusa's educated tones in my rural Scottish teens, I mistook him for a patrician. Nothing could be further from the truth. The story of his arrival here in UK from the then Czechoslovakia and career from there on is truly fascinating. I remember him in Newsnight's formative years, coinciding with lasting events (Iranian revolution, Thatcher's victory in UK, Scotland's first declining of Independence). Already a fan of narrator Sean Barrett's al dente gravitas, I'd say he is the right man for this job. He puts across the character of a serious person, not easily swayed (see also 'What Fresh Lunacy is This?' - the biography of Oliver Reed). 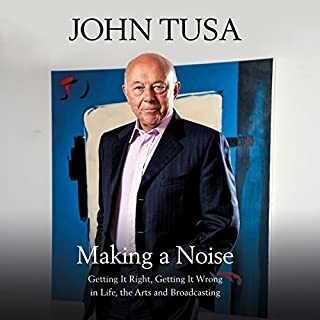 Prompted by this listen I also bought Tusa's 'On Creativity' and am impressed, though not surprised, at how conversant he is across the artistic spectrum. No crucifixions, but a tough time. All collaborative projects face challenges but the film industry brings together so many strands that it seems a wonder that many films are completed. Add to the usual tensions the McCarthy blacklisting of writers and you can imagine the difficulties. If you're an IMDb fan, you soon realise that names are 'on board' who are not credited in the film and this raises a familiar feeling of suspense: wondering how they came to disappear. One strength of this book is KD's balanced view of sometimes problematic people: their flaws (often ones of ego) don't blind him to their strengths. As an aside, let me mention Howard Fast's original novel. 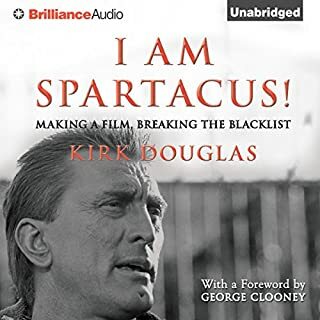 He appears in the story here and I was prompted to try the novel: it's really fine writing, although clearly a different thing altogether from the script - no spoilers - I won't mention the name, in case you're not an IMDb addict. 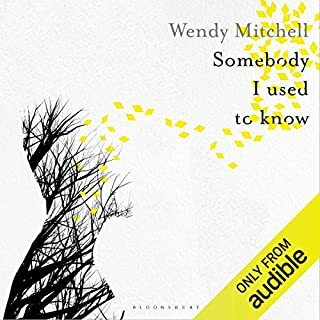 Co-written with journalist Anna Wharton, Wendy Mitchell's account of the initial and puzzling problems at the age of 56, and eventual diagnosis of early onset Alzheimers at 58, is a fascinating listen. Rather than merely pursuing a timeline of deficits, chapters alternate between narration of the events and poignant reminiscences addressed to Mitchell's younger self. Narrator, Rachel Atkins, uses a thinned out voice for the latter of these - almost the voice you'd use to talk to a sleeping child. What is helpful about the book is the explanation of sometimes surprising difficulties which might make us all more sympathetic to someone with this condition - especially in the early stages when, to all intents and purposes, the sufferer appears fully equipped for everyday life. I won't engage in spoilers here but everything is affected: from the look of things, to the sound of things, the whereabouts and purpose of things. What's more, the condition is dynamic and there's little chance to get used to anything. Nevertheless, this is not a tale penned to elicit sympathy. Wendy Mitchell is a very strong character, whose first and lasting response to diagnosis was to become involved in helping others. This book goes a long way to include those who might not meet her in person. 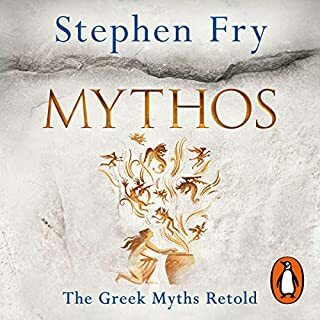 I was pleased that, in his Afterword, Stephen Fry especially welcomed those who were new to Greek myth. I wasn't exactly new to it and, being of a certain age, knew many of the stories, at least in rough outline, However, not having had a classical education, I was somewhat sketchy about details and this book really helped weave everything into a more recognisable tapestry. I decided early on to consult the web and learn the Roman equivalents for each of the gods mentioned (and their domains), as I knew that some of the stories and reputations might otherwise overlap confusingly. Fry mentions the Roman counterparts in many places. Those who know Fry's love of language will not be surprised to discover a wealth of etymologies tumbling from the text, binding together ancient and modern. Many relate to the names of constellations, but there is much more than this. Narrated by the maestro himself, this is an excellent listen.